FLU in horses is caused by infection with equine influenza A virus, which belongs to the same family as those causing flu in humans, birds, pigs, dogs and other species, including seals. There are several strains of influenza, named after the proteins on their surface. Hence you will hear of H1N1 flu in humans for example. Most flu outbreaks in horses are caused by viruses from the H3N8 strain. H3N8 is a group, it contains different types of virus, called clades, most of which are present in Europe, South America and Asia, with some present in North America. International horse travel increases the risk of clades being spread to new countries. This is why up-to-date vaccinations are required for horses travelling for breeding, sale or competition. Equine influenza is common across the world, only Australia, New Zealand and Iceland are free of it. It is highly contagious and can cause significant problems for individual owners and the entire equine industry. Australia suffered a major outbreak in 2007 which infected over 70,000 horses, causing widespread disruption. However, the implementation of strict controls eventually resulted in the elimination of the virus. Flu viruses mutate rapidly meaning that new strains keep appearing. This forces vaccine manufacturers to regularly update their products. A previously effective vaccine may provide little or no protection against a newer strain. Thankfully, equine influenza does not infect people and does not pose a risk to human health. However, it can cause severe illness in infected horses, especially younger animals and/or those who have never been vaccinated. 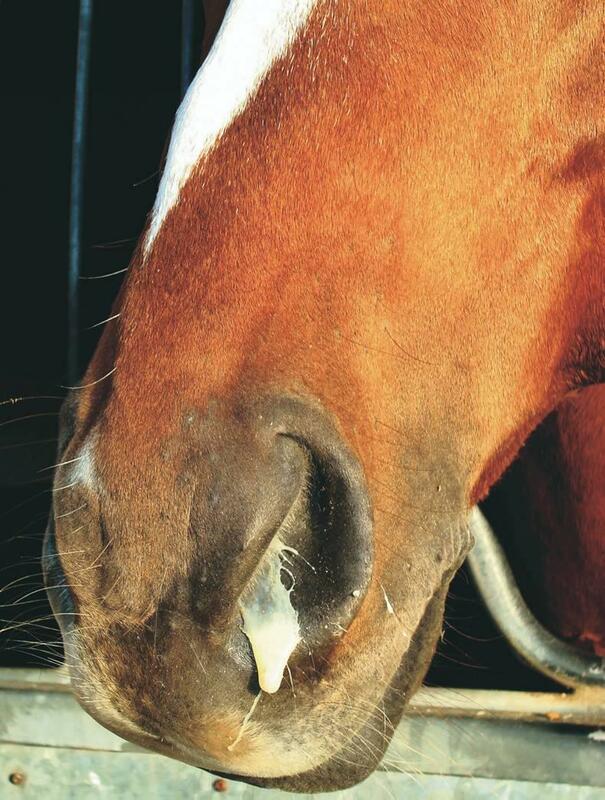 Infected horses start to shed new virus particles from their nostrils within one or two days. Shedding lasts for about seven days. Signs of illness typically appear within two to three days of exposure to the virus. Equine influenza is very contagious and the disease can spread rapidly, over a few hours or days, through groups of horses kept in close proximity. The virus is spread by direct nose-to-nose contact, coughing of virus-laden droplets, transmission on items of equipment or dispersal by the wind. Flu outbreaks in horses can happen throughout the year. Previously vaccinated horses can get infected and shed the virus, particularly if their vaccines are out of date or were against a different strain of flu. However, these animals usually have partial immunity and don’t tend to get as sick or shed virus for as long as unvaccinated horses. Vaccinated horses that encounter the virus may shed it for a period of time after exposure without becoming ill. This increases the risk of disease spreading as there is no way to tell by looking at the animal that it poses a risk to unvaccinated horses. For this reason, even fully vaccinated new arrivals should be isolated for two to four weeks before entering a premises where unvaccinated horses are kept. 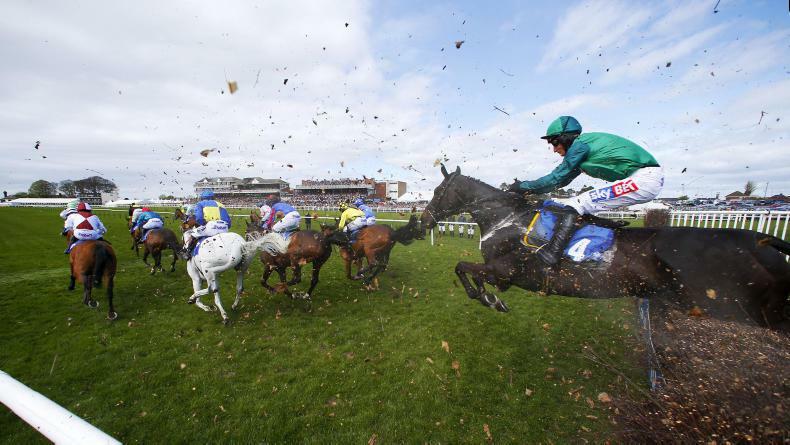 Infected horses who become ill produce antibodies as they recover. However, these antibodies are not protective, meaning the horse can get sick again if re-exposed to influenza. Unlike some other viruses, horses do not remain as permanent influenza shedders after infection. The virus enters the horse’s body via the nostrils. It then invades the cells lining the airway where it multiplies rapidly. Infected cells burst, releasing thousands of new virus particles. The horse then coughs and breathes these out into the environment. Horses up to five years of age are typically the most severely affected. Equine flu is rarely fatal and most of the signs will resolve within seven days, however, coughing typically lasts for three weeks or more. The airway lining has a covering of microscopic hairs, called cilia. In a normal horse the cilia are covered with a layer of mucus which they waft towards the head, trapping dust and germs. This “mucus ladder” keeps the delicate lungs free from irritation and infection. Damage to the airway lining caused by the influenza virus results in the loss of this mucus layer. Coughing is a protective mechanism, intended to keep the lungs clear until the airway recovers. Healing of the lining typically takes 21 days. Horses should be rested until the cough is gone as they are at greater risk of lung disease and other complications during this period. What should I do if a horse develops signs of flu? Even if it is obvious from the horse’s appearance that it may have flu it is worth having your veterinary surgeon collect samples within the first 24-48 hours. This will help to identify the specific strain of virus involved and allow more effective control measures to be put in place. 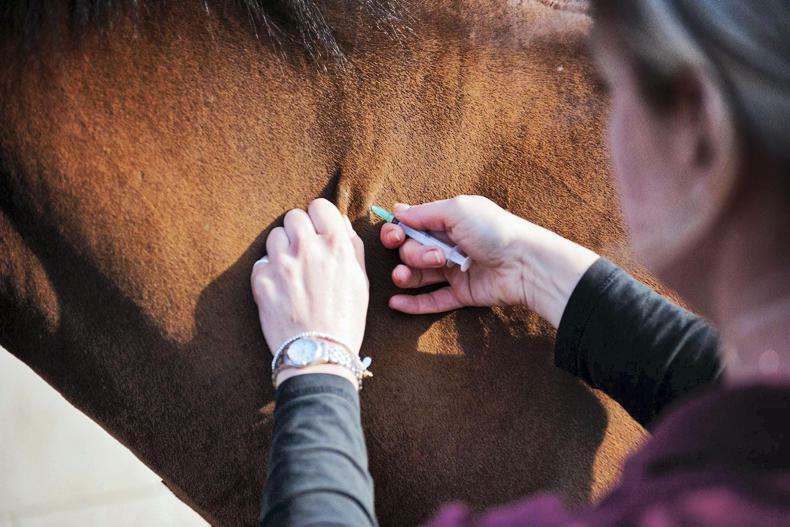 The Irish Equine Centre offers a free influenza testing service on all suspect cases with funding provided by the Department of Agriculture for this purpose. Antibiotics are not effective against viruses so treatment with them is not recommended unless the horse develops a secondary bacterial lung infection. Your veterinary surgeon can prescribe anti-inflammatories to help control the horse’s temperature, make them feel better and encourage them to eat and drink. Just like people with the flu, infected horses are pretty miserable. Keep them as warm, dry and comfortable as possible. A dust-free environment will reduce airway irritation. Due to the cough and a sore throat the horse may be reluctant to eat dry or prickly feed, so try soaked hay or haylage. Remove any uneaten feed and wash the feed and water containers to remove discharge. Most animals will improve within a week but it is important to not work them for at least three weeks and until the coughing has stopped. As a useful rule of thumb, the horse should be rested for one week for every day that they have a high temperature. Because the virus is widespread, vaccination is a vital means of control. Foals should be vaccinated from six months of age. Three doses should be given, the second after three to four weeks and the third after three to six months. Individual vaccine regimes may vary so check with your veterinary surgeon. Low risk horses should receive an annual booster thereafter. High risk horses are those who travel to studs, racetracks, shows, hunts etc. and they should ideally receive a booster every six months for optimal protection. 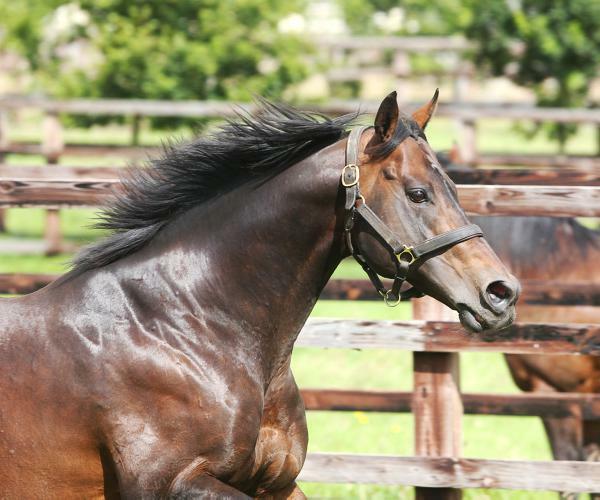 Broodmares should be given a booster four to six weeks before foaling. As well as protecting them during subsequent travel to stud etc. a vaccination in late pregnancy will pass some protective antibodies on to the foal via the mare’s colostrum and milk. If an outbreak occurs horses who have not been vaccinated within the last six months should receive a booster. Equine passports contain a section to record vaccinations as they are administered to the horse. The vaccines themselves can be legally sold or supplied to horse owners as they are prescription-only medicines. However, because of the major disruption to sport and trade that a flu outbreak would cause, most regulatory bodies and transport companies etc. require that your veterinary surgeon personally administer the vaccination and fill in the passport. These requirements are in place to protect our horse population. Ideally, all new arrivals should be isolated for a period of at least two weeks before they mix with other horses. However, this is not always practical. A variety of equine influenza vaccines are available and they all offer good protection when administered correctly and regularly. Remembering to vaccinate your horse and keep the passport filled in and in date can seem like a lot of hassle. However, it is nothing compared to the disruption, expense and misery that a flu outbreak can cause. The higher the proportion of vaccinated individuals in our horse population, the lower the risk of a major problem. Karen Dunne, MA, CertEM (StudMed), MVB. Veterinary nursing programme director at Dundalk Institute of Technology (DkIT). Member of the education, research and industry (ERI) and equine groups of Veterinary Ireland. My interests include large animal nursing, equine and stud medicine and education.